What Is The Best Time To Hunt Waterfowl? There are a variety of waterfowl that are hunted in North America, with the most common being mallards. They can be found on every continent except for Antarctica and are frequently hunted near bodies of water such as rivers, lakes, ponds, swamps and oceanic coastlines. Weather conditions are one of the main variables to consider when duck hunting. A change in wind and precipitation brought on by a cold front is every duck hunters dream. However, these foul-days aren't the only variables that effect the behavior of waterfowl. 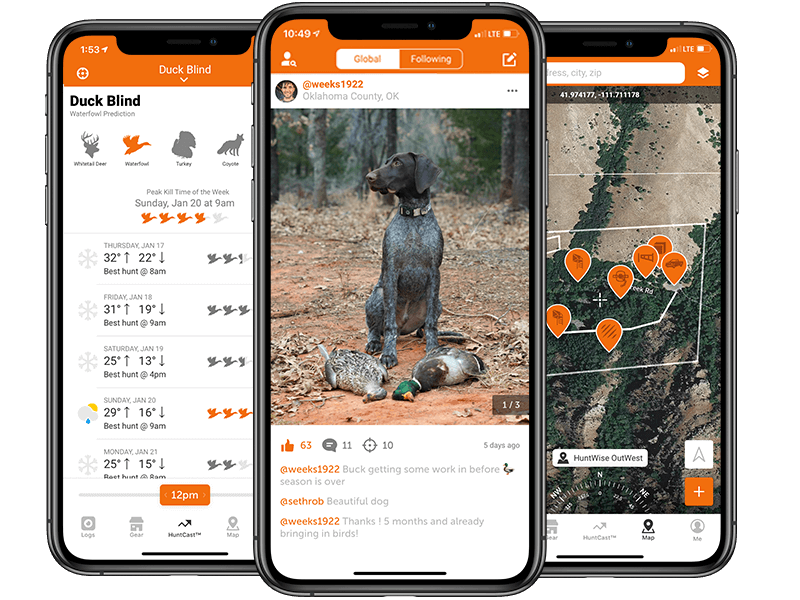 Location, species of duck, migration patterns, time of day and other factors also drastically affect your likelihood of catching one of these beautiful birds. Variables To Consider When Hunting Waterfowl. Location: Location is the second most important factor to consider when hunting waterfowl. Where you are on the map will greatly influence the number and species of duck available to hunt. Some states prove that foul-days are the best days to hunt, while other states, specifically those in the middle of migration patterns suggest otherwise. Time of Year: Waterfowl activity changes according to the time of year. Generally speaking, the best time of year to hunt waterfowl is during the cold fronts of mid-fall. However, the location of the hunt and species of duck will also play a role in predicting the best times to hunt. Time of Day: It is believed that the best time to hunt for waterfowl is during the first hours of the morning after dawn. However that belief has been challenged by hunters who find their most successful hunts happen in the afternoon or early evening. To make sure you are hitting the prime times, make sure you are also considering weather patterns and species-specific behavior. Temperature: Along with weather conditions, temperature is another important factor that can drastically affect the movement of waterfowl. It is largely believed that waterfowl prefer cooler temperatures brought on by cold fronts, however, migratory timing and feeding-patterns can make it harder to predict their movement based solely on temperature. Barometric Pressure: Low barometric pressure is a sign that the local air pressure is lower than it's surrounding areas. Because low pressure is often a sign of coming precipitation, wind, or approaching fronts, it is typically ideal for hunting waterfowl. General Weather Conditions: As mentioned before, general weather conditions are one of the main variables to consider when hunting duck. Duck hunters generally find that wet, cooler, overcast days create the best environment for duck movement. However, depending on your exact location and time of year, ducks may also be on the move during clear sky days. Wind: Wind is a sure sign that ducks are on the move. However, depending on the strength and direction of the wind, it can both aid and detour your hunt. For example a strong southerly wind can slow the pace of the ducks flight, making them easier targets, while northerly winds can do the opposite.